Work demands a lot of your time, requires you to be attentive, compels you to care, and asks you to go beyond your comfort zone. Does this sound a little familiar? Hint: Your significant others are probably nodding their heads. The people who’ve been there will definitely see that dating and working have a lot of things in common. You hear people lovingly (or not-so-lovingly) call their partners “the boss” and it’s not such a stretch to figure out why. Both relationships call you to follow, lead and occasionally put out fires. We at Kalibrr list down some of the many ways your work life can mirror your romantic life. 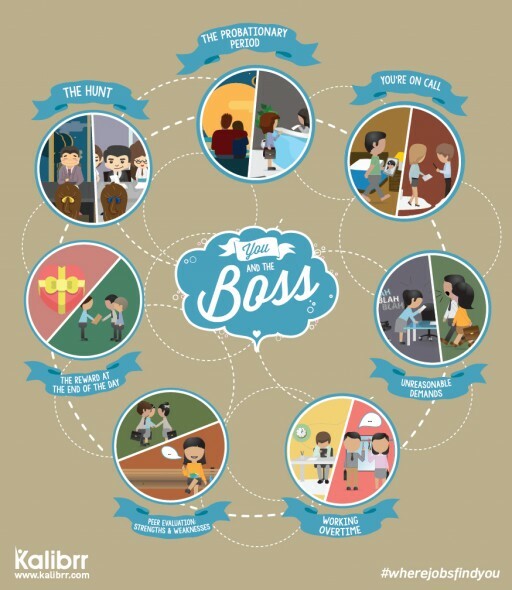 Read on and see if these describe you and the “boss”. Though everyone will have their own opinion of which is easier, we can all agree that looking for a job and looking of a potential boyfriend or girlfriend are both not laughing matters. In rare instances, the process can be easy as pie but for the most part, it’s a constant process of seeking, trying it out, finding out it won’t work, and seeking again. Job interviews and first dates can both be nerve-wracking and, in cases of bad timing, they can both bring you back to square one. Once you get your foot in the door, how do you get all the way in? 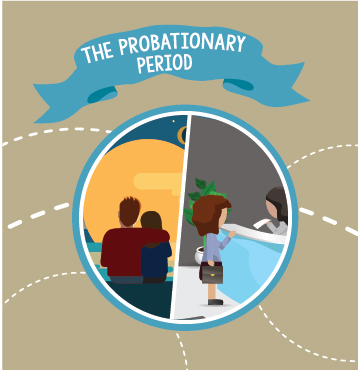 The probationary period for work and romance run the same course. You get to know each other, find out how you mesh in different situations, put your best foot forward, and pray for a good fit. Though dating can make you a little bit more creative and a lot more emotional, in both relationships you seek to impress the other party while showing your true colors. A piece of advice that goes both ways: invest yourself fully once you’re sure you’ve found something worthwhile. 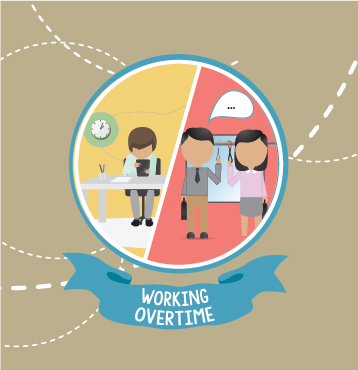 For many people, nagging in the workplace and in the relationship arena is a major turnoff, with reason. Despite how much we may love our work and/or significant other, we all need our me-time to recharge and reconnect with ourselves. 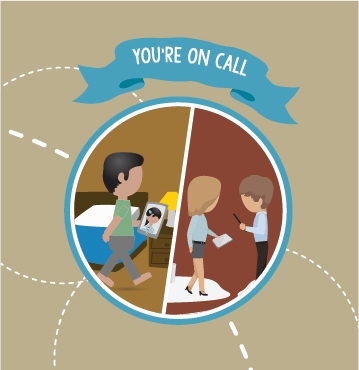 If done right, being “on call” can be a nifty relationship hack. Telling your loved one how your day went and being curious about theirs is just as healthy as telling your boss how hard or easy a project was and how you think it can be done better. The back and forth between you and the other party can lead to excitement, investment, cooperation, and most importantly, understanding. Any healthy relationship needs a good amount of honest communication. When you’ve got that down, being on call for relationship and work emergencies won’t be a burden but actually something you want to do. 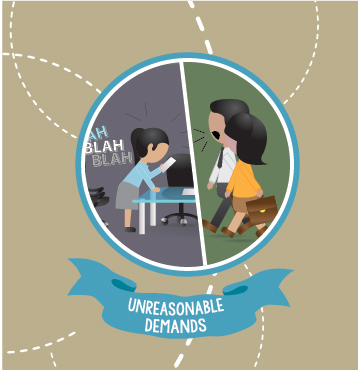 In less than ideal situations, relationships can mean unreasonable demands. If your partner asks too much of you without giving back, the stress you end up with can be just as bad or even worse than work stress. There’s no denying that there are people out there who don’t know the meaning of the word “reasonable.” These are the people who think asking you to bring them that specific brand of ice cream that can only be found in two stores on either ends of the city at 3am is not totally ridiculous. These are the bosses who call you right before bedtime and give you a brand new assignment that needs to be started from the ground up, and expects you to be done with a polished, extremely thought out presentation by 8am the next day. Unreasonable. If you can manage it, the key is to teach these people boundaries and manage expectations. Just because you love them or the work doesn’t mean they can abuse you. If you can’t teach them that, then maybe the relationship is not for forever. If you’re invested in it, you work for it. Excluding situations where the other party is disrespectful of your time and priorities (see situations above), working overtime for a relationship is not a bad thing – sometimes it’s even a necessity. If you want more meaning than what the routine movie date or the simple 9-5 can give you, then put in the hours. Spend quality time building the relationship. Plan a trip or visit their families. If it’s work, spend productive time doing your tasks, learning your projects inside and out, and building up the company. Just like how you get overtime pay and get tons of work done, working overtime for your relationship can only make its foundation grow stronger. In any relationship, the way people see you is often a pretty clear mirror of how you actually are. Other people aren’t perfect and their views may not always be objective, but seeing yourself the way they see you is always a good exercise in self-awareness and openness to change. We may not know about our annoying work habits or how our tones can be slightly snarky or impatient. The only way we would know is if other people speak out. In your relationship and in your work environment, encourage constant feedback and follow it through with being open-minded about what people have to say. 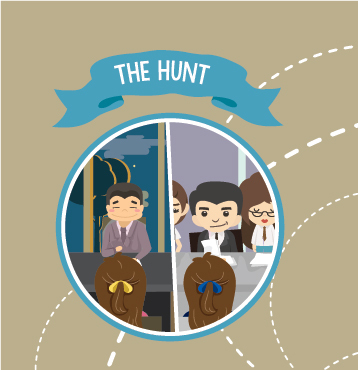 The best similarity between dating and working is the satisfaction you have at the end of a long day. There’s nothing quite like the contentment of sharing your life with someone and knowing that for that day, you contributed to society with your hard work. 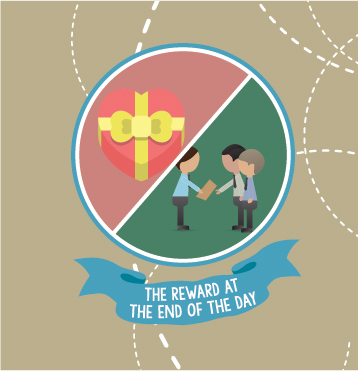 Intangible rewards are sometimes the best kind of reward. With a little bit of care, investment and level-headedness, your work life and your romantic life can blossom to something lasting. Otherwise, they are phases you go through that grant you experience and wisdom. Either way, both are life-defining and life-changing. If you’re the type who’s great in one department but lacking in another, just take the same dedicated ethic to wherever you’re more successful (be it romance or career), and see how the relationship grows.